I'm excited to share with you one of the projects I have published in Fall 2013 issue of Crafts 'n Things Magazine. The Recipe Box is cut from Bo Bunny pattern paper using the Silhouette Cameo and SVG Cuts Christmas Open House Kit, and features stamps and dies from Our Daily Bread Designs, colored with STAEDTLER color mediums. For full details on how to recreate this project see pages 54-55 of the Fall 2013 Issue of Crafts 'n Things. Beautiful! Great colors and just look at those cards.....Congrats! Fabulous idea and then I would not lose the ones I write out!! 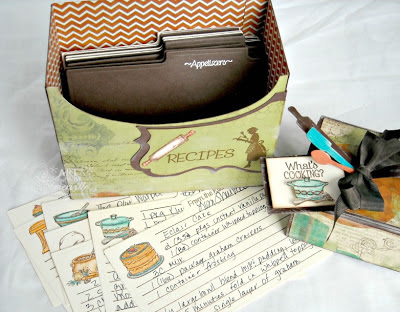 Love the recipe card box. 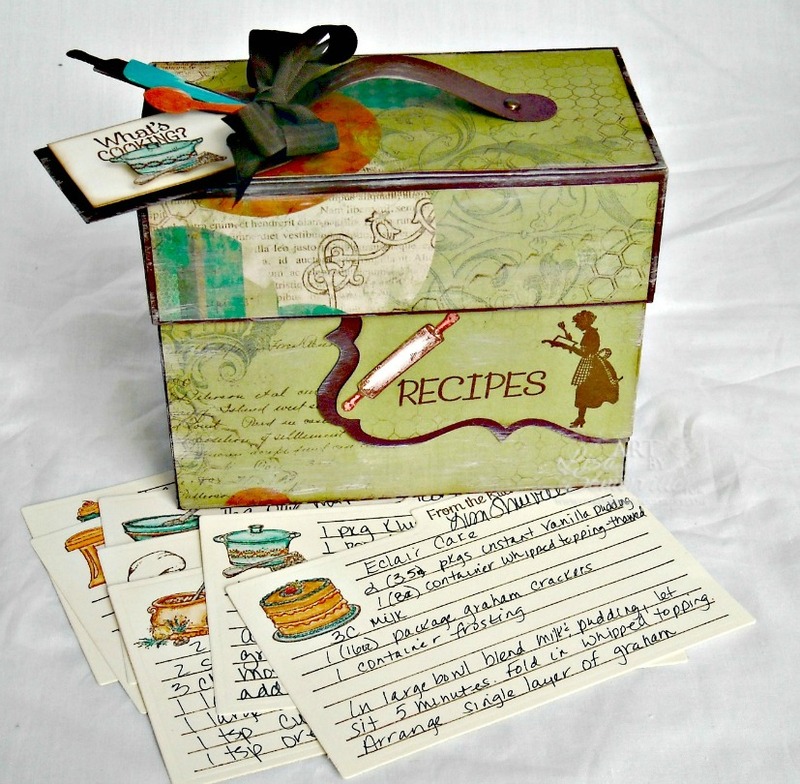 Your recipe box looks amazing and you know that first recipe laying out is the BEST!!! Love it Lisa...a recipe box is always handy... great shower gift!! WOW Lisa... this project is amazing! Fabulous gitft from the heart!